Styled with merida pant . Say no to sleeves. 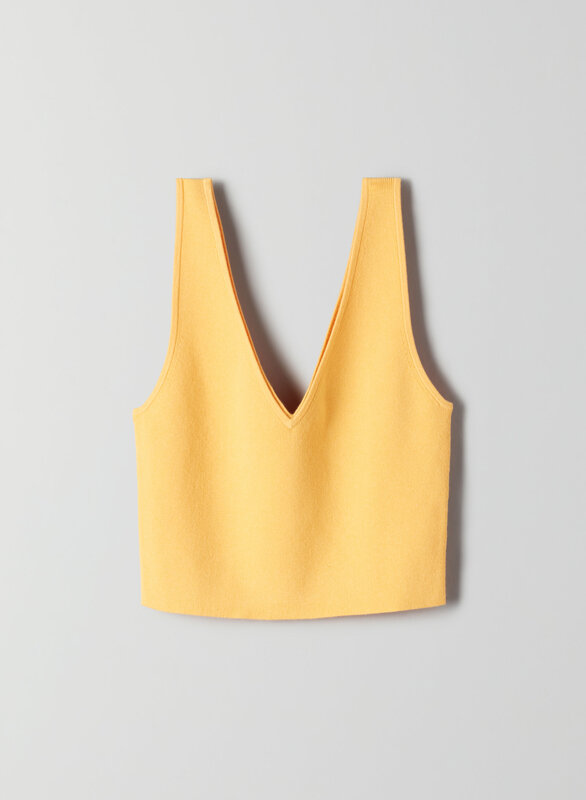 This is a knit tank with a double V-neckline and cropped body. It's made from a body-hugging knit that feels cool against the skin.